Podcast S7E49 – Verizon ditches contracts, the poor hitchhiking robot is dead, Mike answers your questions + more! 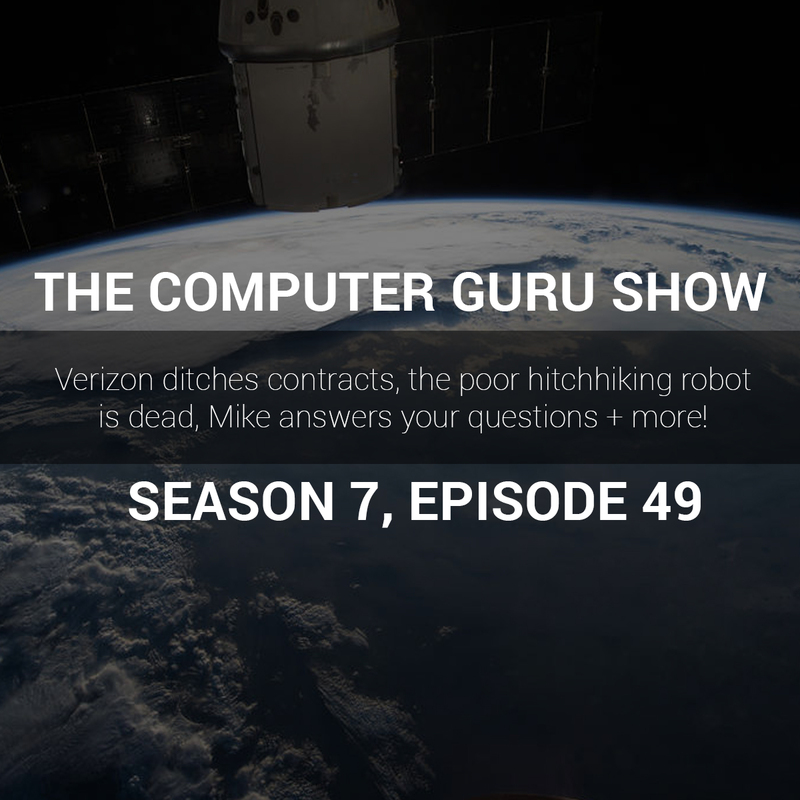 Verizon ditches contracts, the poor hitchhiking robot is dead, Mike answers your questions + more! This week Mike and Tara discuss the latest tech news, which includes Verizon deciding to ditch contracts, the death of the hitchhiking robot, and more.